• Easy to install.. No wire connection needed..
• Simply mount on the wall using screws (included)..
*.Sensor mode - Automatically turns lights off during the day and will only turn on when it senses movement at night. *.Dim mode - Powers off during the day and comes on at night in dim mode. 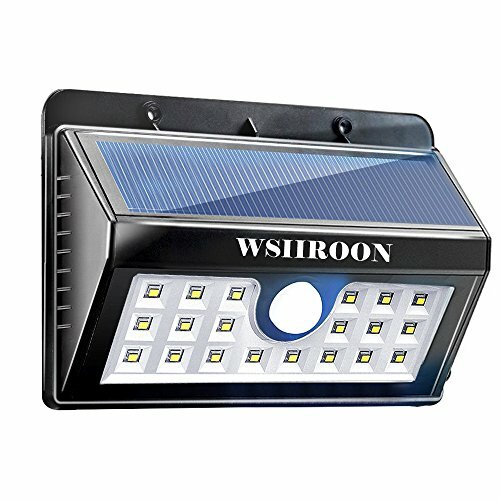 *.High mode - Switches off during the day and lights up at night in full brightness mode..
• Comes with amorphous silicon solar panels for efficient power collection..
• Panel actively converts solar energy to electricity..
• Long-lasting 2200Mah Battery Capacity..
• Provides over twelve hours of working time at night..